Launched in 1984, Archies is one of India's first most popular gifting stores. Today, it has more than 230 exclusive outlets in 66 cities and around 300 franchise outlets across India and neighboring countries. Now, with its online arm, Archies Online, it offers e-cards and online gifting opportunities as well. Here you will find the widest range of gifting items, combos, hampers, flowers, cakes, greeting cards and more, all sorted according to type of occasions, relationships and gender of recipients. However, while you go shopping for a gift for someone else, Zingoy brings a gift for you: all Archies Online offers and deals in one places, plus some exciting cashback! Yes, shop for your loved ones at Archies Online via Zingoy and earn cashback every time. 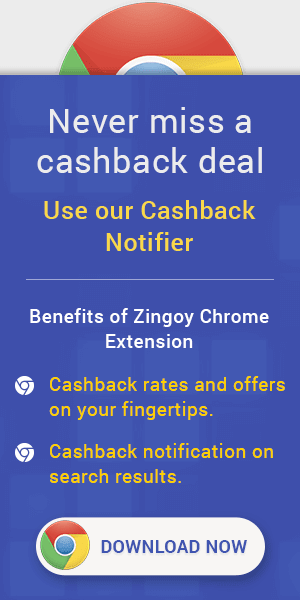 You can also make your Zingoy links of the Archies Online stores and offers, share them with your friends and family and earn some more cashback every time they make a purchase using your links. Another way to save money on your gift shopping is to buy some Archies vouchers from Zingoy and earn some big and instant cashback on them. These vouchers are redeemable at both Archies online and offline stores. Save another 10.0% by using Gift Cards on your shopping at Archies Online.